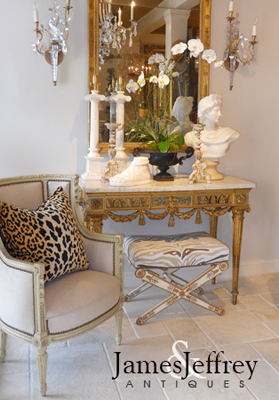 Bench, of carved giltwood, having a rectangular crown seat, of leopard fabric, with nailheads, on carved giltwood frame, its apron carved with guilloche motif, with flowerhead blocks at each corner, raised on round, tapering, fluted legs,ending in touipe feet. CONDITION: Excellent. Desirable wear to finish. New upholstery. 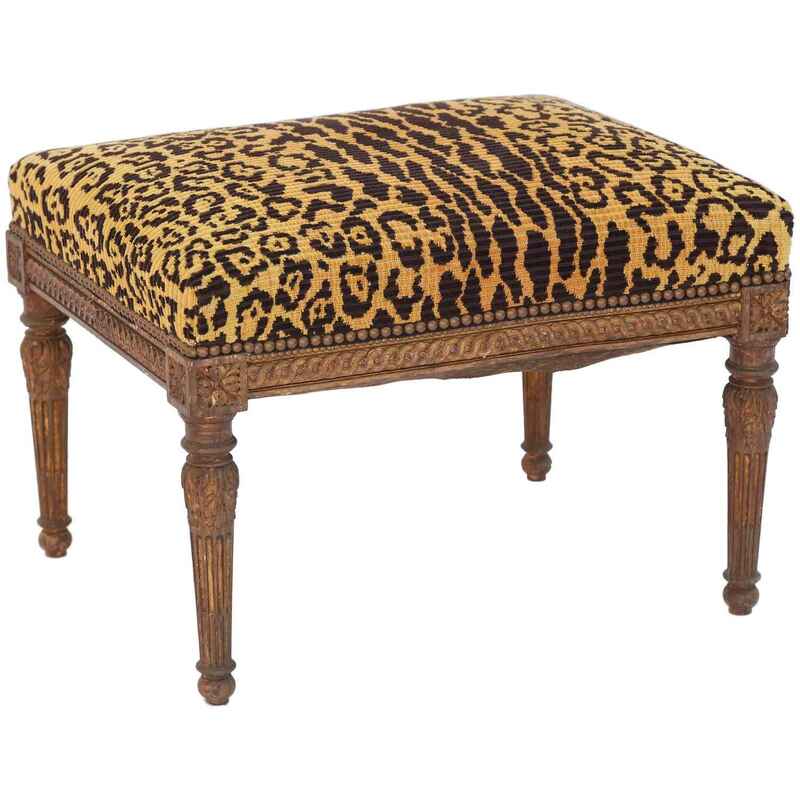 Bench, of carved giltwood, having a rectangular crown seat, of leopard fabric, with nailheads, on carved giltwood frame, its apron carved with guilloche motif, with flowerhead blocks at each corner, raised on round, tapering, fluted legs,ending in touipe feet. CONDITION: Excellent. Desirable wear to finish. New upholstery.